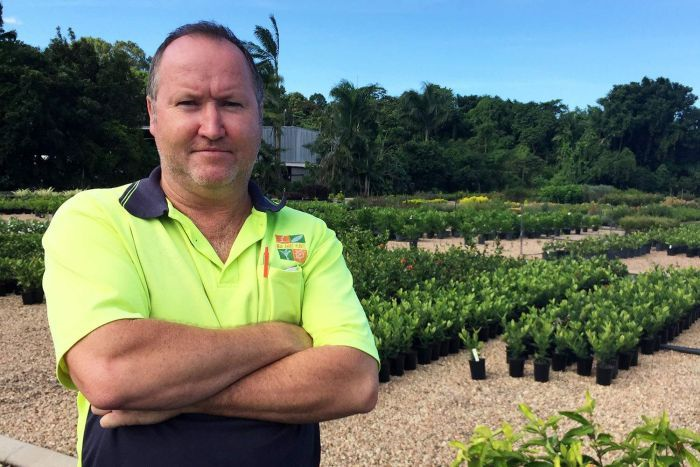 Darryl Madder was putting his feet up after a hard day of work at his Cairns nursery one day two-and-a-half years ago, when suddenly everything went dark. His heart had suddenly stopped beating. "There's no warning sign or anything, no sore arm … just there one minute, gone the next," Mr Madder said. "Instead of collapsing in the chair, I stood up, stumbled forward and face-planted onto the pool deck." The resulting thump re-started his heart, and revealed a genetic condition that for many sufferers can be fatal. Brugada syndrome, also known as sudden adult death syndrome, can cause a very fast heartbeat. As many as five in every 10,000 people worldwide have it. Mr Madder said the diagnosis immediately made sense in relation to his family's medical history. "I've lost a son, stillborn, I've lost a brother — that was an unexplained death in a single vehicle accident when he was 21, I lost my nephew when he was playing sport at school when he was 12, so it explains a lot," he said. He wished his mother had known before her passing. "My mother especially was heartbroken by the deaths in the family, she thought hell was on Earth," Mr Madder said. "She couldn't reconcile what had happened in our family and it's really sad that she didn't know before she died that it was an illness." 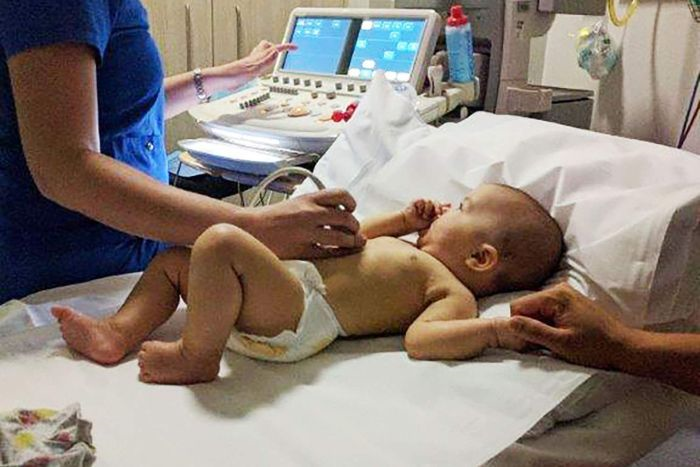 In 20 per cent of cases there is a faulty gene that can be identified through DNA testing, while half of those with the disorder can be diagnosed with an ECG. "Fortunately, I have that faulty gene and the other family members have been able to get their DNA tests done," Mr Madder said. Two of Mr Madders' three teenage boys have tested positive. He now ensures a defibrillator is always nearby. "My youngest boy, he's a great little runner, cross-country, so we train three times a week with him," Mr Madder said. "So, we've just got to be there with the defib." His own defibrillator is implanted in his chest, in case of another attack. "There's no spooning in my bedroom, I can tell you. The missus is scared stiff because if it does go off she gets a shock too," he said. Mr Madder's sister and brother also have the gene, as does his niece, Jess Plattz. 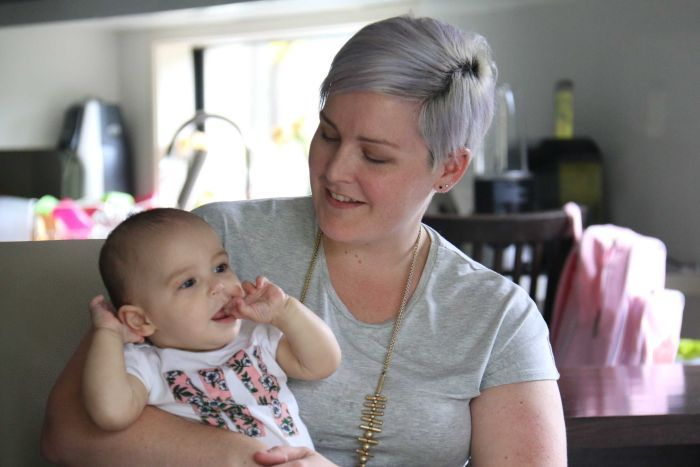 She was 20 weeks pregnant when she found out, but she has never had symptoms of Brugada and her baby's ECGs have been clear so far. "Now we know about it we can do all the proper tests and take all the proper precautions and just get on with life," she said. Chris Semsarian, who set up the world's first genetic heart disease registry at Sydney's Royal Prince Alfred Hospital, said Mr Madder was extremely lucky. "Usually the first presentation of syndromes like Brugada syndrome is sudden death," Professor Semsarian said. "Often there's a bit of a family history of someone dying at a young age in bed, but the diagnosis is not made until something like this happens." Professor Semsarian said public awareness was critical and urged those with a family history of young people dying suddenly, or individuals who had unexplained blackouts, to be checked. "If we can identify young people who are at risk of these diseases like Brugada syndrome, we can actually stop them dying suddenly," he said.